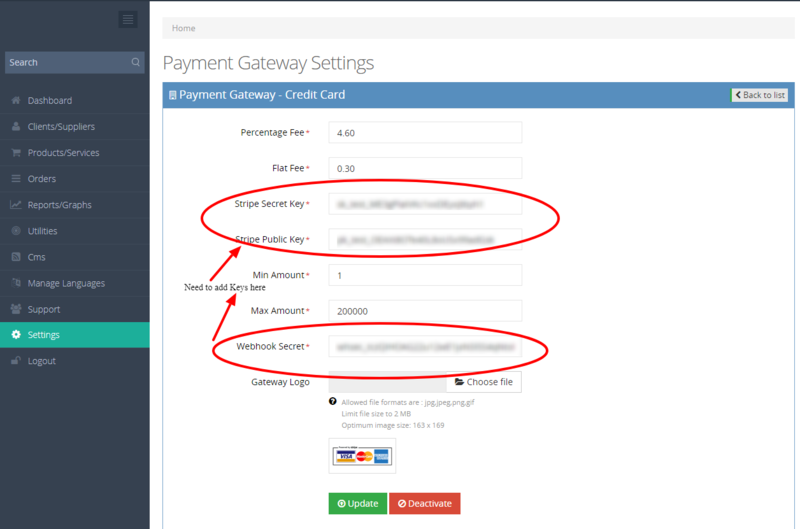 -- Added Payment gateways Stripe Card Payment and Skrill. Stripe Credit Card Payment Gateway is implemented. * In the admin/gateway-settings page of your site (exmple.com), Need to configure Stripe Secret Key,Stripe Public Key and Webhook Secret. * Need to create account in https://stripe.com to get the keys to configure in your site. * After creating account in stripe, Go to https://dashboard.stripe.com/account/apikeys to get keys. * After adding the webhook url, it will be listed in https://dashboard.stripe.com/account/webhooks, if you click the url you have added, can copy the Webhook secret key. Now you have successfully enabled Stripe Credit Card in your site. Skrill Payment Gateway is implemented. * In the admin/gateway-settings page of your site (exmple.com), Need to configure Merchant Email and Secret word from your account.